We’d love your help. Let us know what’s wrong with this preview of Fiction River by Kristine Kathryn Rusch. Imagine paying a fine for walking across town. Or hiding an illegal marriage. Or losing your life for playing the harp. Strange crimes, dangerous activities, some from the not-so-distant past, return to life in Hidden in Crime. See why Ellery Queen Mystery Magazine says Fiction River's crime volumes have "high quality throughout," and why Publishers Weekly states ..". fans Imagine paying a fine for walking across town. Or hiding an illegal marriage. Or losing your life for playing the harp. Strange crimes, dangerous activities, some from the not-so-distant past, return to life in Hidden in Crime. See why Ellery Queen Mystery Magazine says Fiction River's crime volumes have "high quality throughout," and why Publishers Weekly states ..". fans of the unconventional will be well satisfied." 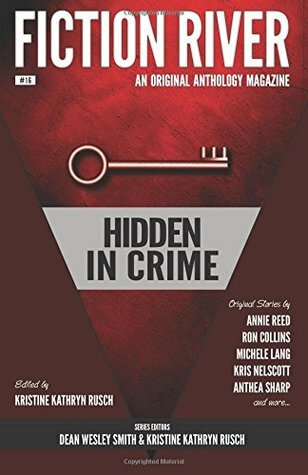 Join some of the best authors in the business as they uncover once-hidden crimes. To ask other readers questions about Fiction River, please sign up.